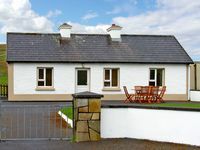 Property 10: The Little Irish Cottage on the Wild Atlantic Way - experience the real Ireland. 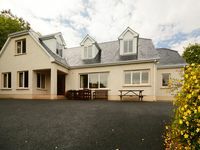 Property 11: Overlooking the Loch Melvin and the Leitrim Hills in quiet rural location. Property 14: Cosy cottage to relax, unwind and unplug. Margaret met and greeted us even after we were an hour late from getting lost in Galway which was our fault. She was personable and informative. The house was clean and comfortable. Left for us were milk, fruit, goodies and bottled water. There was items left for a fire in the stove. The picture does not do the area justice. Mountains in front of the home and the beach behind the house within walking distance. We had privacy and a peaceful stay. The home and area was definitely the picture of Ireland we were looking for in our adventure. Thanks, Margaret for a lovely stay!